We have a diverse line-up of jazz this week, including a new CD release from the Dave King Trucking Company, a brief homecoming for Todd Clouser in the company of John Medeski and JT Bates, a return visit from Jon Weber, and a quintet debut from one of our favorite pianists. For starters. Friday, July 15. 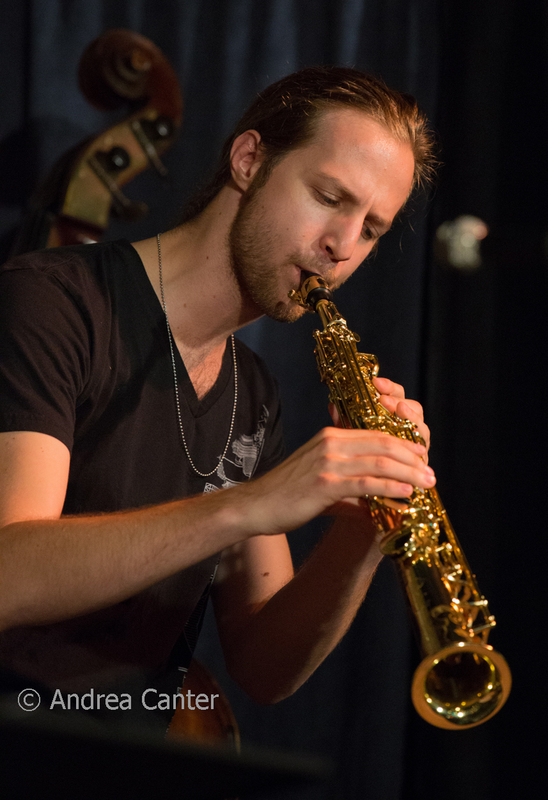 Minnesota native saxophonist/composer Aaron Hedenstrom is back on the local scene after completing his doctorate at the University of North Texas, and he celebrates at Jazz Central in prime time. On the late show, young drummer Edmund Catlin brings on his fourth edition of "Boo Boo's Birthday," rearrangements of complete Monk albums in the format of vibes/bass/drums. 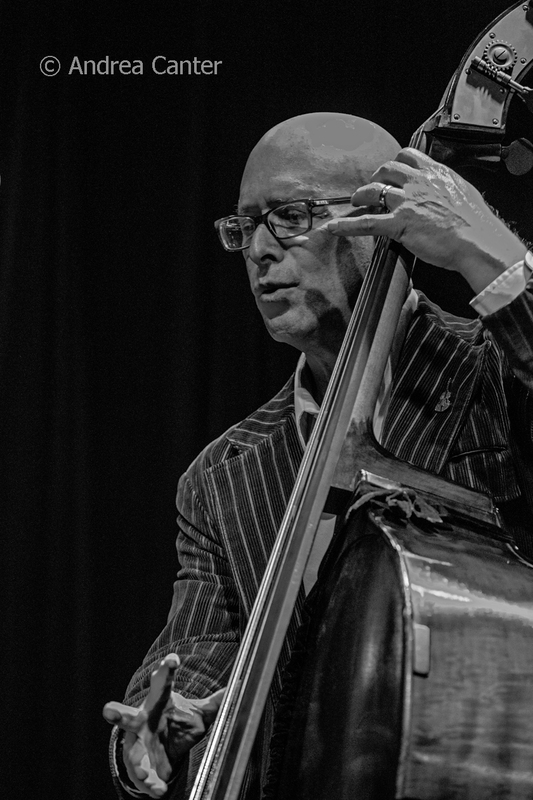 This time, he takes on Monk's Underground with pals Charlie Lincoln on bass and Levi Schwartzberg on vibes. 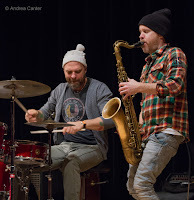 For some intriguing music over dinner, check out the Nelson Devereaux/James Buckley duo at the Icehouse--that's sax and bass! Over cocktails, dinner or dessert, hear Charmin Michelle sing in the lounge at Parma 8200. And at the Black Dog, enjoy the monthly gig of the Donald Washington Group, usually son Kevin joining sax-playing dad on drums. Friday-Saturday, July 15-16. 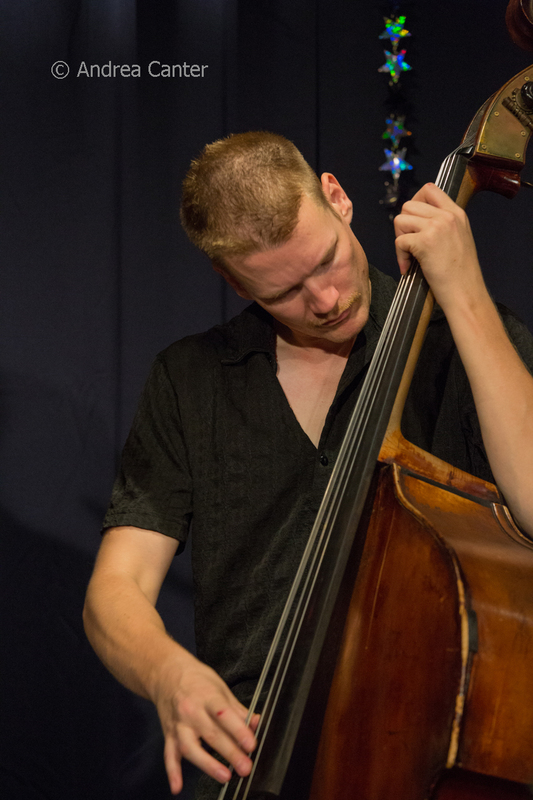 At Vieux Carré, the Dave King Trucking Company opens a two-night CD celebration for their new recording, Surrounded by the Night. Not sure how dark it will be but we will be surrounded by talent in this Minnesota Meets New York ensemble-- two saxophonists, our own Brandon Wozniak in tandem with New York's Chris Speed; Eric Fratzke on guitar; former Minnesotan now based in New York, Chris Morrissey, on bass; and of course the energizer bunny of the drums, Dave King. Saturday, July 16. 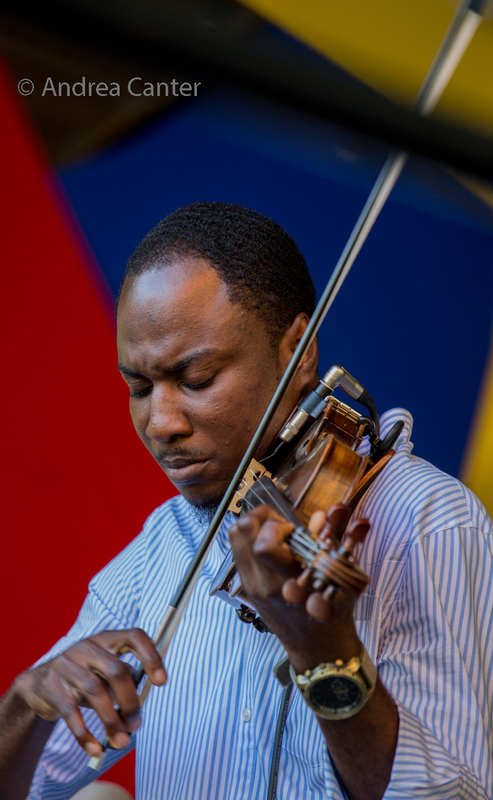 It's still free outdoor festival season and the Twin Cities Mobile Jazz Project holds one in Rice Park with some wide-ranging music from the Minnesota Hard Bop Collective, Walter Chancellor, Ernest Bisong and young pianist Jordan Anderson. Saturday Night at the Black Dog features a new band and a group of young veterans. 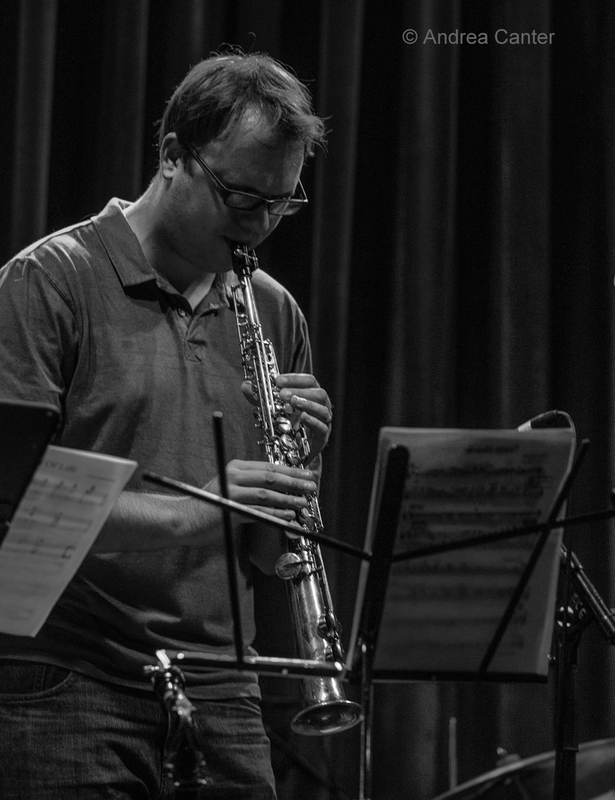 The relatively new Midwest Coast Quintet opens, featuring recent college graduates coming together over jazz standards and original material. The Graydon Peterson Quartet + 1 plays the headline sets, with bandleader and bassist Graydon, Adam Meckler on trumpet, Joe Strachan on keys and Adrian Suarez on drums, along with Andrew Gillespie on congas and timbales. Their set list includes new music inspired by Graydon's recent trips to Cuba. 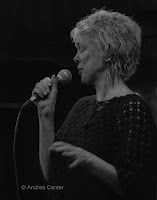 At the Public Kitchen, the Kronick Quartet will have some musical fun and likely play material from their new CD, Chronic!, while out in Fridley, singer Judi Vinar will have her own musical fun at Crooners Lounge. 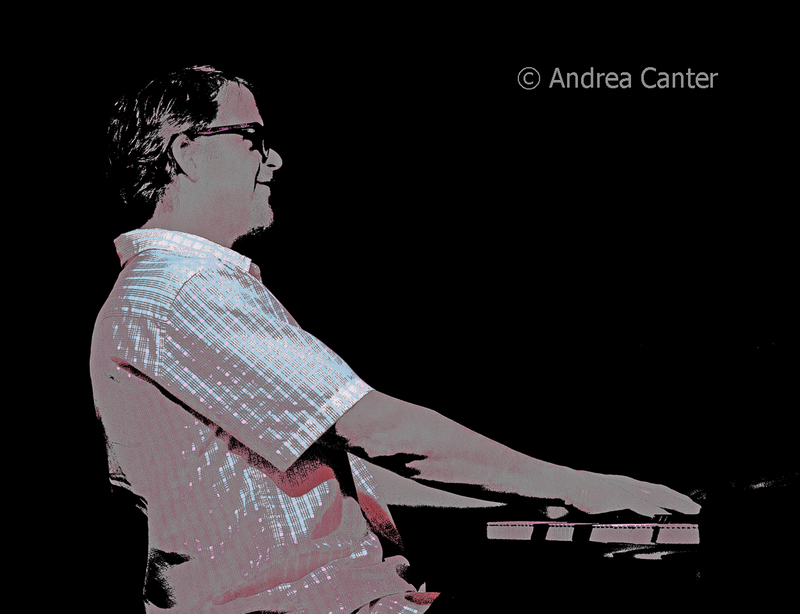 And always on Saturday night, Benny Weinbeck brings his trio to Parma 8200. Sunday, July 17. Take a short ride out to Hastings for an afternoon with Jon Pemberton and Jimmie Wallace, "Jazz in the Vineyard" at Alexis Bailey Winery. For a more relaxed afternoon (in air conditioning! 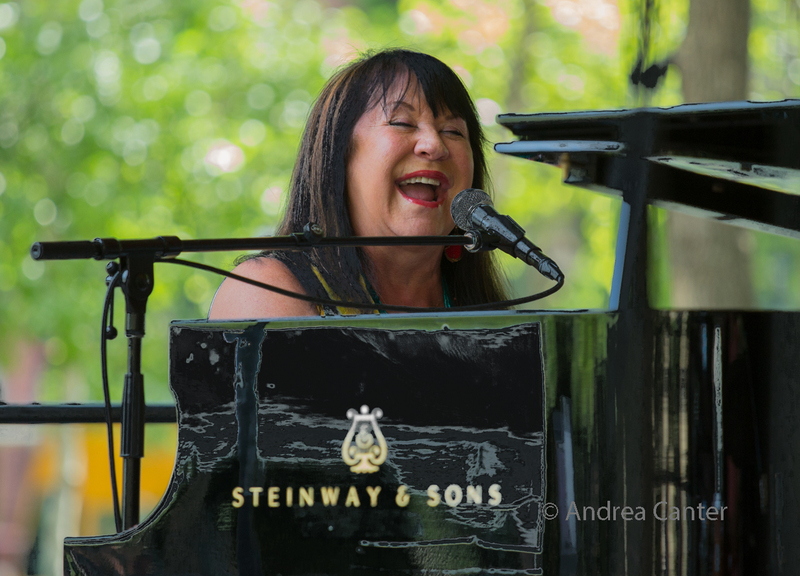 ), join songbird Connie Evingson and now-frequent cohort, New York pianist Jon Weber, for "Summer and All That Jazz" in the sanctuary of St Albert the Great in south Minneapolis. Back at Crooners tonight, Dan Chouinard has a full plate in the Dunsmore Room for his Birthday Club, with singing sisters Linda and Patty Peterson -- a double delight. Linda will likely take a turn on the piano bench as well. Monday, July 18. 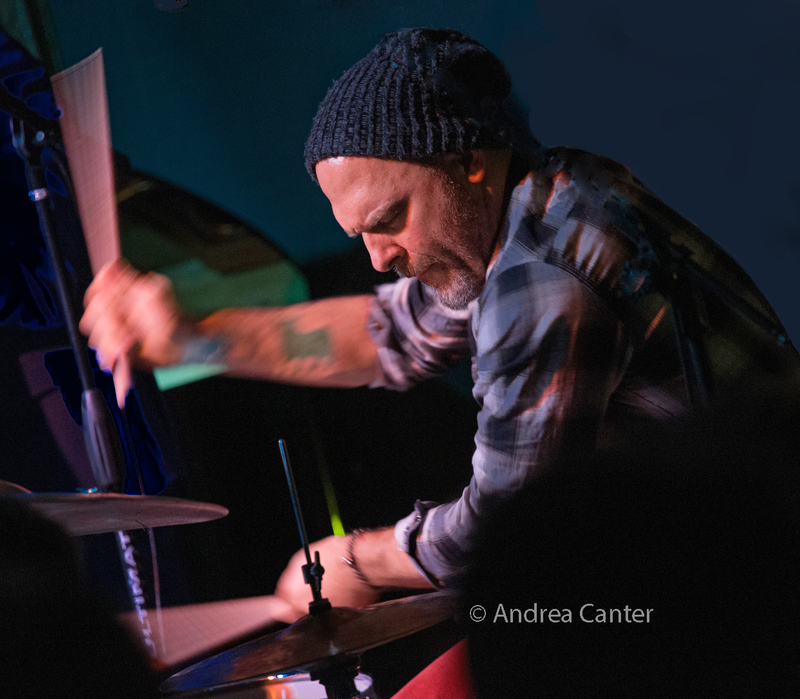 Jazz Central throws the spotlight on veteran reedman Doug Haining, while the Icehouse hosts former area resident, Mexico City-based guitarist Todd Clouser, on stage with international keyboard star John Medeski and Jazz Implosion curator, drummer JT Bates. Tuesday, July 19. Doug Haining is back at Jazz Central with cohort Scott Agster to lead the Explosion Big Band. At Vieux Carré, Steven Hobert starts the evening on solo piano, followed by some swinging heat from the Mill City Hot Club. Tuesday-Wednesday, July 19-20. 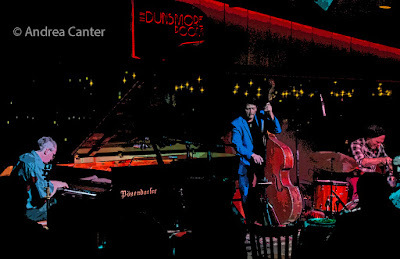 One of the most dynamic duos performing in the metro, Connie Evingson and Jon Weber team up in the Dunsmore Room. Over the past few years, Connie and Jon have worked together on a number of projects, mostly at the Jungle Theater. Wednesday, July 20. 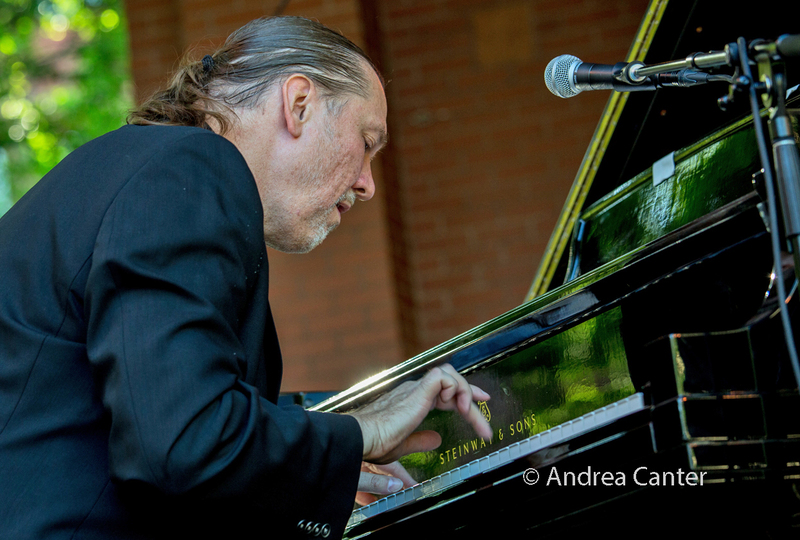 One of the most admired pianists in the region, Chris Lomheim grew his following playing solo and leading a trio, but he's no stranger to larger ensembles, as a founding member of the Illicit Sextet. 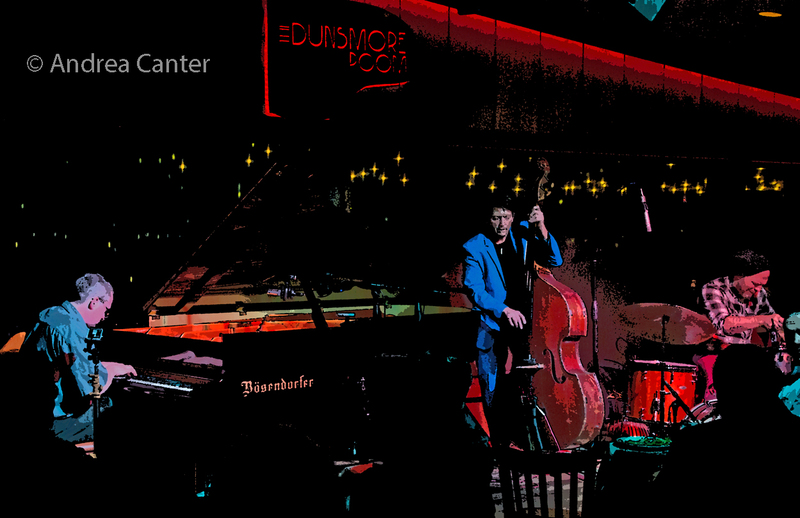 Finally Lomheim has put together his own larger group, a quintet making its debut tonight at Jazz Central. Joining Chris will be Pete Whitman, Adam Rossmiller, Jay Young, and Dave Schmalenberger. 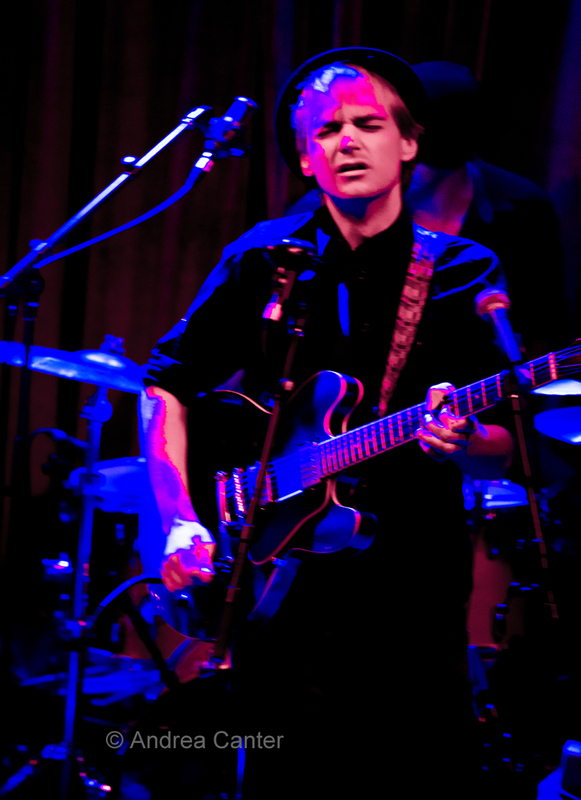 At the Dakota, the Potash Twins are back, wielding their trombones and plugging in for some electrified funk and fun, while Vieux Carre presents a new trio-- BZB with Zeb Cruikshank on guitar, Brent Wallace on bass and Byron Johnson-Blanchard on drums; Patrick Harison opens on solo accordion. Thursday, July 21. 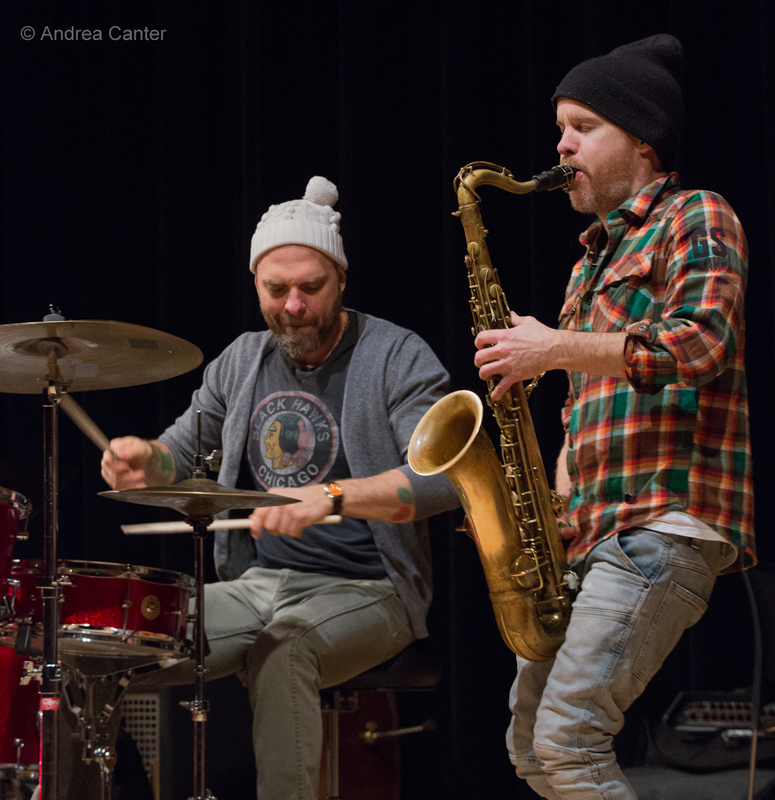 A double-header at the Aster features Firebell (Park Evans on guitar, Graydon Peterson on bass, and Jay Epstein on drums) in the first round, then Brandon Wozniak replaces Evans for a sax trio in the second round. 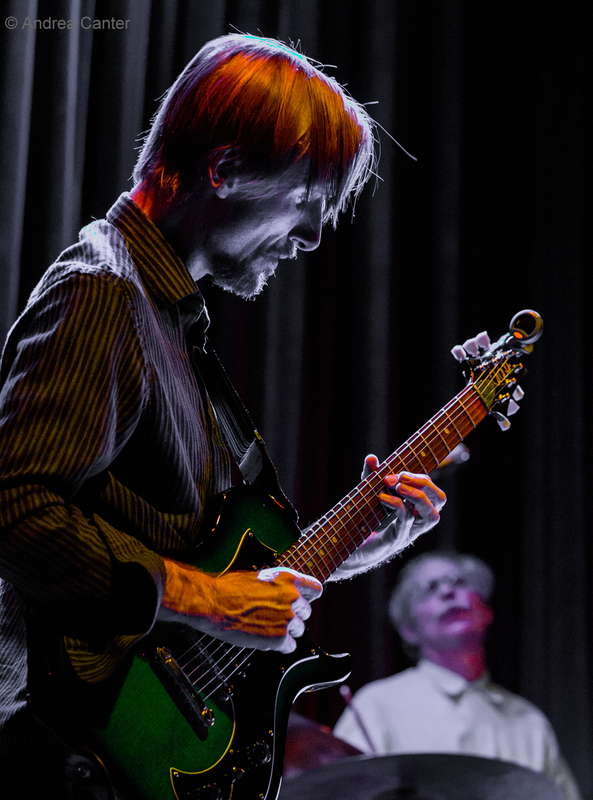 Thursday Night Jazz at Reverie presents the Zacc Harris Group, with the prolific guitarist on stage with the Bates Boys (Chris on bass, JT on drums) and Bryan Nichols on keys. Opening will be the increasingly sophisticated Sound Skirmish-- young guns Levi Schwartzberg, Patrick Adkins, Drew Stinson and Ben Ehrlich. 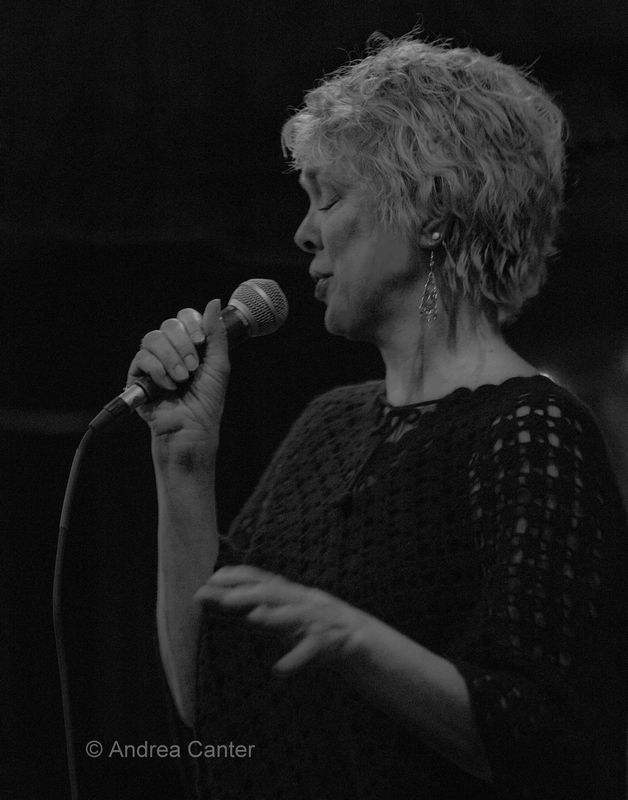 At Jazz Central, Barbara Meyer returns to Vocal Jazz Night, with Eric Jensen, swinging through standards and more with more. And at the Black Dog, a weekend-long "grand re-opening" celebration gets underway, the once-small cafe showing off its expanded space with a much larger, elegant bar/stage area and new full kitchen with plenty of table space, larger and more complete menu, and a second stage. Music, food and fun over three nights. There's always more jazz around the metro! See the Live Jazz Calendar posted on the KBEM website, and read more about jazz events at jazzpolice.com --online and on Facebook. And tune into the on-the-air edition of the Lead Sheet every Thursday at 4:40 pm, rebroadcast on Fridays at 8:20 am, on KBEM 88.5 FM. 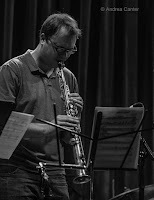 Andrea's guest on July 21 will be trumpeter and curator Steve Kenny, sharing news of the Rochester Jazz Festival, Illicit Sextet, and the summer All Originals series.